Donald Trump has promised that his sweeping global tariffs would bring jobs back to America. Instead, they are having the opposite effect. 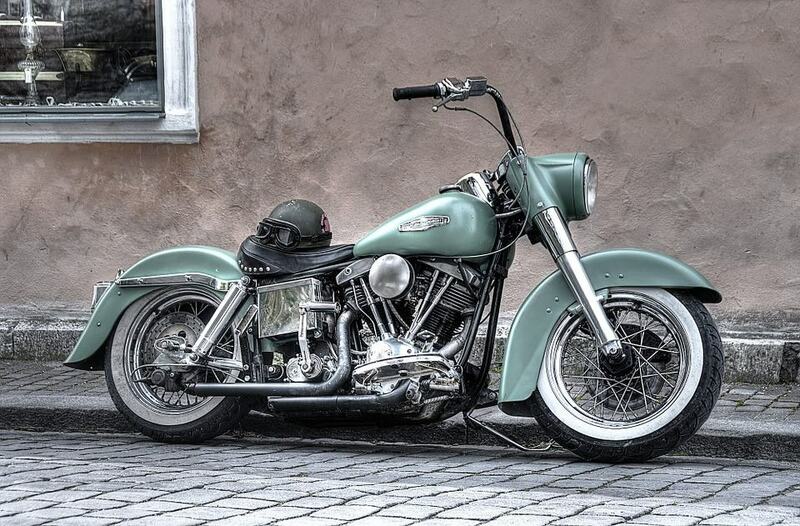 Case in point, Harley Davidson. The company announced on Monday that EU tariffs on its motorcycles have jumped between 6% and 31%, resulting in an average increase of $2,200 per exported motorcycle. Instead of raising prices for consumers, the company says it will take a hit of $30 million to $45 million in 2018. The company’s solution? It plans to start building some of its motorcycles in Europe, allowing it to avoid the tariffs that are now being imposed on $3.2 billion worth of American goods. The E.U. recently announced it would tax everything from motorcycle and bourbon to orange juice and denim, among other items. 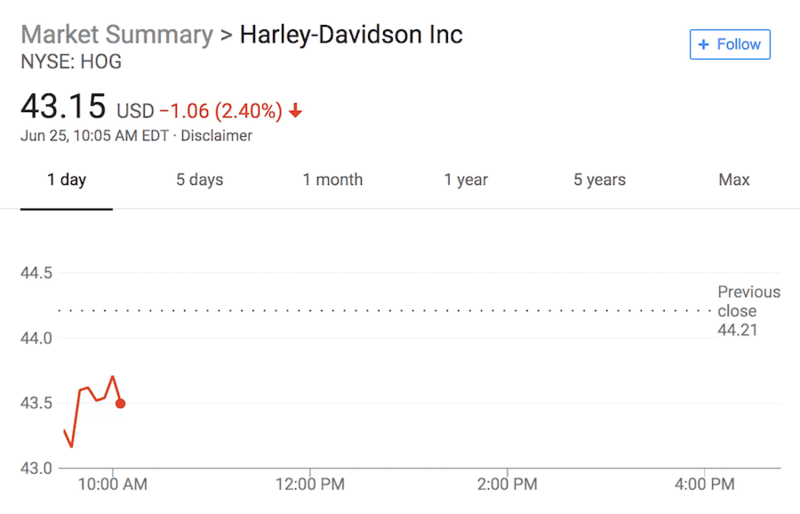 Shares at Harley Davidson are down 2.40% in early morning trading. Quartz reports that the overall cost to Harley Davidson is expected to reach $100 million. The publication notes that the motorcycle manufacturer doesn’t want to raise prices over fears that it will lose customers to its competitors. The tariffs will hit home for House Speaker Paul Ryan. Wisconsin is the home of Harley Davidson. Speaker Ryan, who is set to retire at the end of the year, is not a fan of Trump’s tariffs and has spoken out against the trade war. “We are extremely worried about the consequences of a trade war and are urging the White House to not advance with this plan,” Ryan’s spokeswoman, AshLee Strong has previously revealed. “The new tax reform law has boosted the economy and we certainly don’t want to jeopardize those gains,” Strong added. With China and the EU combining to slap the United States with more than $60 billion in tariffs, the end of the trade war is nowhere in sight and other countries including Canada and Mexico will likely step up their efforts in the coming months. Further, we can probably expect to see more American manufacturers shifting their overseas sales to production facilities outside of the United States.